Where will you create your NYE memories? The countdown is on before the actual countdown begins, we are just one month away from New Year’s Eve, the biggest night of the year on our party calendars. At OutInCanberra we care about your night and we care about the Instagram story you’ll be waking up to. Our list of eligible NYE venues will get you forward thinking about how you want the last night of 2018 to shape up. From getting dolled up, to dining out and then waking up on the first day of 2019 – it will all be captured on your social pipes, but where will be the setting of your NYE story? 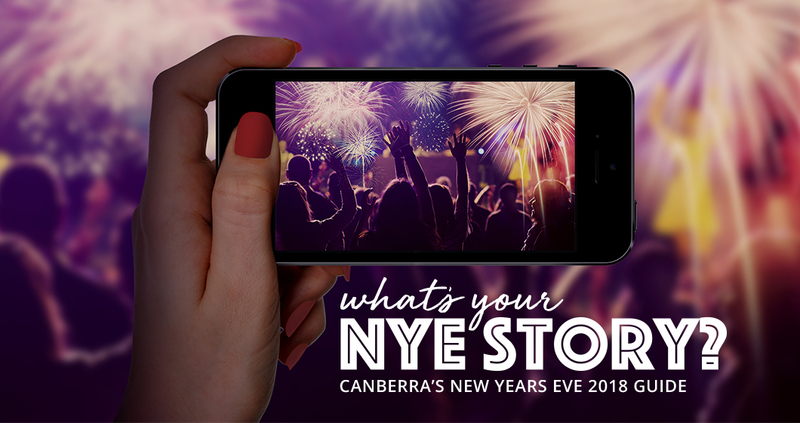 OutInCanberra is counting down the New Year with one final Instagram Story. Make the final day of 2018 count with one of our potential suitors. What will your NYE entail? Where will you be creating memories? Ring in the new year with a venue from our curated list. Kiss goodbye to 2018, celebrate the year that was and ring in the New Year with music, food and fireworks in Civic Square. Blurring the line between club and pop music, New Year’s Eve in the City will be headlined by PACES. Hitting the stage at 10.30pm, PACES and his special guest will finish 2018 with a bang! 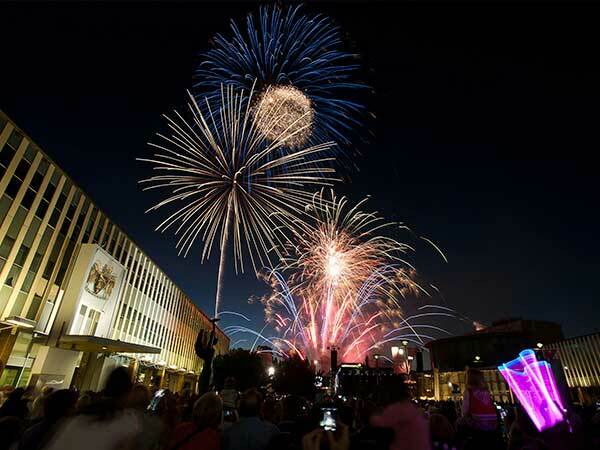 World-class fireworks displays will light up Canberra skies in the city at 9pm and midnight at this alcohol free event! For more information visit the events ACT website. 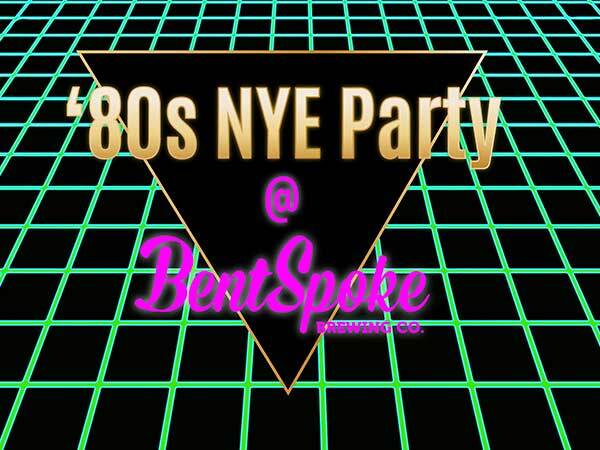 Acid wash, big hair, neon, mesh, lycra, Rubik’s Cubes, cassettes…Bentspoke is heading back in time this New Year’s Eve with their festive yet intimate ‘Back to the 80’s’ party! Whether you loved them or hated them, the ’80s were extra. It’s undeniable that the fashion, food and tunes of this decade always make a radical party. From 7.00pm – 1.00am, time will rewind like a VHS, and the top level of the Braddon venue will be your DeLorean. A night of 80’s entertainment will include an open bar, set menu of share food, amazing elevated view of the fireworks, bubbles and a lucky door prize. From 10pm, the pub will be closed to the public for this exclusive, ticketed event. Tickets are $140 General Admission and $110 for Draughters members (with discount code from the newsletter). call (02) 6257 5220 or purchase tickets online. Be who you want to be this NYE with the most decadent Masquerade party in the city. Swan & King invites you to welcome the New Year in style by dressing up in your finest attire and wearing your most enchanting mask. With views of the sensational midnight fireworks, incredible food and spectacular late-night lounge music performed by their DJ, it’s set to be one of the most exclusive nights in town. Two packages are available for your suitability; The Renaissance Package ($35pp) includes canapes, music and gorgeous views of the city, and The Venetian Package ($950 per group, up to 5 people) including exclusive VIP lounge seating and bar, luxury table service, an array of seafood, canape and antipasto platters through the evening, an open bar and a bottle of champagne at midnight. Bookings can be made online. It’s picturesque, sharing your New Year’s kiss on the top of the QT Lounge. 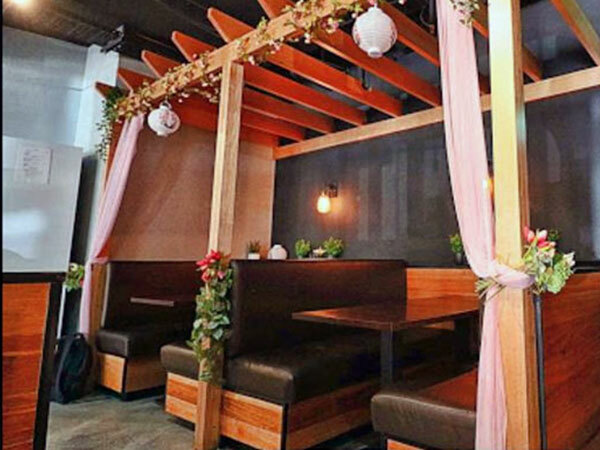 What more could you want for an evening of romance or to get dressed up to celebrate with your closest friends with this upscale bar experience. Celebrations will be held on the 15th floor – a lofty private space that’s quite the secret to most. Did someone say champagne? 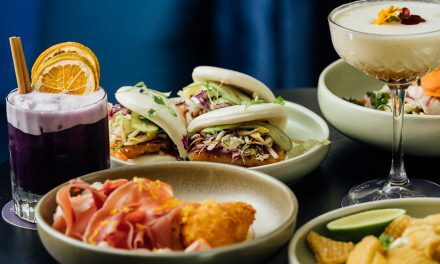 For $219 per person the package will be providing free flowing drinks for 5 hours and an interactive marketplace menu to enjoy packed with QT favourites. Get your front row seats to Lake Burley Griffin with the panoramic views to watch the fireworks and bring in the New Year. Live entertainment will be provided to keep you dancing all night long while you wait for the clock to strike twelve. This is the New Year’s hub for those who want to feel ultra-luxurious. It’s looking to be a fancy evening – black tie please. Bookings can be made online. Contentious Character is raising the bar on last year’s inaugural event! 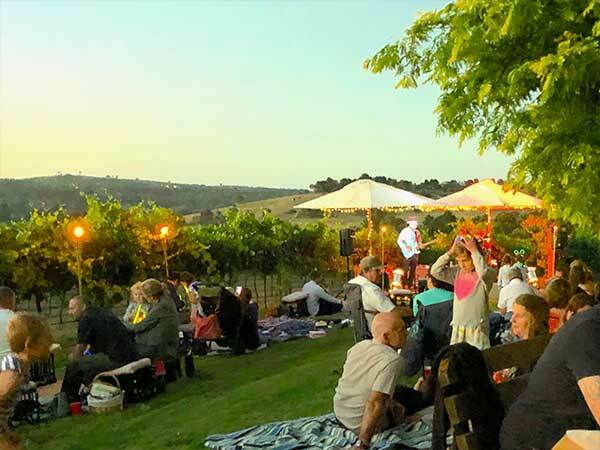 From 5pm to midnight New Years Eve, serving generous and scrumptious meals for picnicking on the lawn or deck, followed by a cheese and dessert selection. Guests can enjoy laid back Outlaw Country Blues by the Guitar Cases Quartet, Canberra’s hardest working original musos, easing their way into the new year. When the sun goes down the night revs up with a switch to upbeat dancing tunes – think Redgum meets Johnny Cash, JJ Cale, Howlin Wolf and T-Bone Walker! There will also be some surprise wine tastings throughout the night. Come anytime from 5pm, that suits your family or friends. Cash bar for wines, beers and Sangria. $95 Adults, $30 Children between 5-12 years, Family ticket $220. Tickets include all food and entertainment. Dietary requirements catered if advised in advance. Subject to demand, a transport shuttle may be available for guests, with cost and pick up points, to be advised. Bookings can be made online. A night of glitz, glamour, colour and dancing the night away! 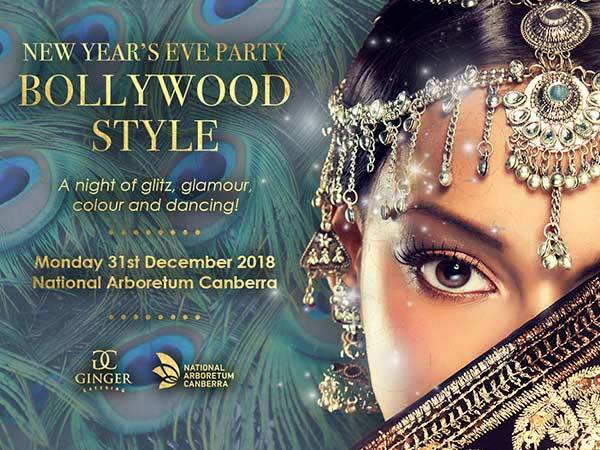 Ginger Catering is hosting an unforgettable Bollywood Style New Year’s Eve party at the National Arboretum. Dress to impress in your Bollywood best! A photo booth will be available to capture the last memories of 2018 and the first of the new year. A truly unique celebration at Canberra’s beautiful award-winning venue will make for an unforgettable evening. Tickets are $190 per person and include canapés and cocktails on arrival, dinner and drinks. Bookings can be made online. Spice up your New Year’s with family and friends over an Indian feast that will leave you wanting more. Dosa Hut has one of the widest spreads of authentic multi-Indian cuisine which goes above and beyond the typical menu you would find. New Year’s Eve just got even tastier. Be at close convenience to the celebrations and fireworks. 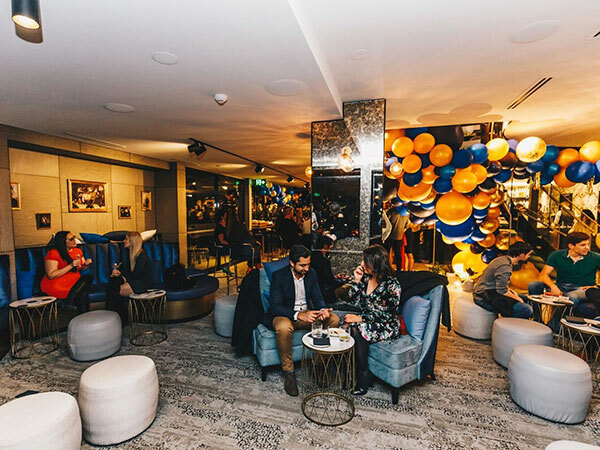 Be a part of Dosa Hut’s NYE PARTY, for $25 per person guests will receive a drink on arrival and unlimited canapés showcasing the selection of up to 99 mouthwatering dosas. Guests can enjoy the festivities from 8pm – midnight, with a special DJ playing beats to keep the New Year’s energy alive all night long. If you’re looking for more Dosa Hut is hosting 50 guests for the perfect sit-down dinner, bookings essential. Dishes include authentic Hyderabadi Dum Biryani, Tandoor, Curries, Omelette, Chaat & Indo-Chinese that have earned their incredible reputation. The Dosa Hut chefs delight in creating innovative specials that not only tickle your taste buds but surprise them as well. Call 61198088 (Dosa Hut) or 0433048099 (Vidya) to make bookings. For more information visit Dosa Hut website. 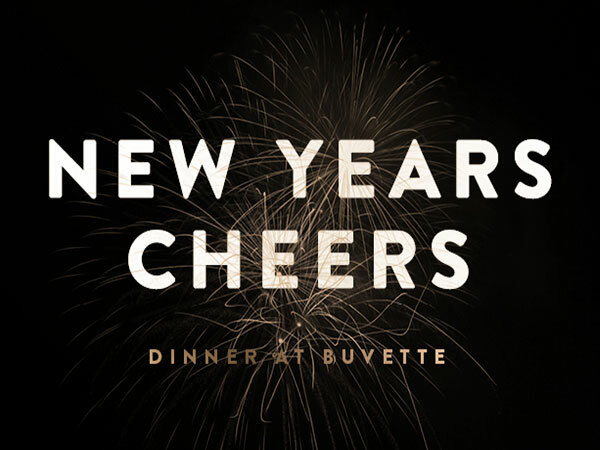 What better way to celebrate the arrival of 2019 then at Buvette Bistro & Wine Bar New Year’s Eve celebration. 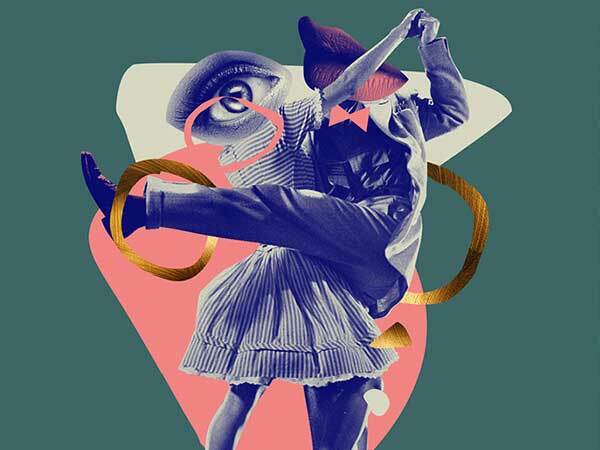 From 6pm til’ midnight Buvette will be hosting the ultimate New Year’s Festivities. Come early to enjoy an exquisite dining experience before heading off to your New Year’s Eve party – or stay with us to embrace the countdown to welcome in the new year. For $110 guests will receive champagne and canapes on arrival followed by a four-course menu with your choice of entrée, main and dessert. Buvette prides itself on using quality ingredients to deliver seasonal menus showcasing the best of locally sourced produce. New year’s menu items include south coast oysters, tuna & kingfish carpaccio, wagyu beef sirloin, short ribs croquette and pan-fried snapper. Relish over the New year eve’s passion fruit Pavlova, or a Bitter chocolate fondant. Make sure to come hungry – petit fours to finish. Bookings can be made online. Stuff New Year resolutions, go out with a bang at Bad Betti’s. Though she is bad to the bone, she still knows how to throw mean party. 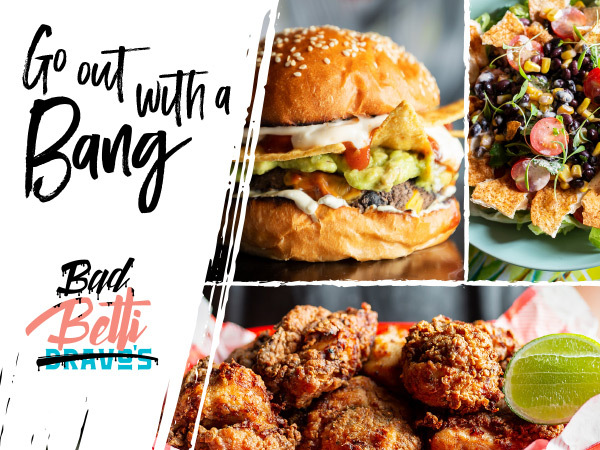 For $45 per person, this Foreshore venue is serving up a choice of Caribbean-style burger and other tasty t’ings like Betti’s freakin’ fried chicken, regretless salad, calamari, plus sides and dessert. The cocktail menu features the classics, as well as some more unique, tropical options, with names sure to get you asking questions. Have a raging night in the restaurant, adorned in colourful mosaics and liveliness with a hint of crazy splashed around the venue. Get Frisky in the enclosed alfresco by the live DJ or boozy in the beer garden with killer views of the fireworks. If you’re after a NYE event that’s a little different and completely insane, then Bad Betti’s is the place. Book your NYE night at Betti’s bad girl burger joint, there will be two sittings, 6pm & 8pm. Non ticketed event, visit Bad Betti’s website to book. 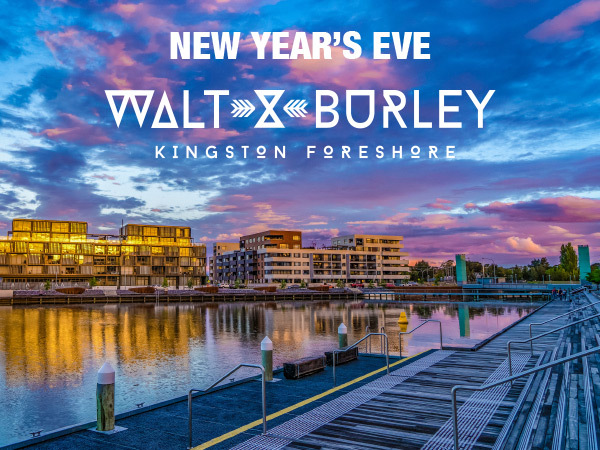 Situated on the tranquil Kingston Foreshore with expansive views of the picturesque Lake Burley Griffin, Walt and Burley provides a stunning location for your New Year’s Eve celebrations. Guests are invited to attend their relaxed event full of delicious localised food, drinks and a striking view of the fireworks from the lake’s foreshore. Enjoy a glass of sparkling on arrival, followed by a range of delectable canapes including fresh South Coast oysters, lime calamari, grazing platters with local and international cured meats and cheeses and more. The event includes their favourite DJ bringing the beats to complement the setting as you dance and laugh the night away. For just $70pp, indulge all the senses as you feel the lake breeze and tantalise your tastebuds in a relaxed bar and dining experience. Bookings can be made online.